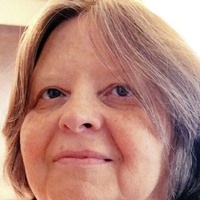 Pamela Sue Hartley Moffett, 58, Johnson City, passed away Thursday, January 31, 2019 after an extended battle with cancer. A native of Johnson City, she was a daughter of James & Linda Cole Hartley. Pamela was employed at East Tennessee State University in the Department of Psychiatry. She was preceded in death by two brothers, Ricky Hartley and Jimmy Hartley. Survivors include her husband of 39 years: Richard Moffett. One Daughter: Dr. Amanda Moffett, Nashville. Her Siblings: Linda Ruth (Paul) Greene, Johnson City, Patricia Hartley, Timothy Hartley (Dave Dunlap) of Virginia and Terry Hartley of South Carolina. Several nieces & nephews. A Memorial Service will be conducted at 2 p.m. Sunday, February 3, 2019 in Memorial Funeral Chapel with Chaplain Chris Hughes officiating. The family will receive friends from 1 to 2 p.m. prior to the service. The family would like to express their many thanks to the health care providers who cared for her during her illness. Condolences may be sent to the family at our web-site www.memorialfcelizabethton.com.